The American Dream is backed by the belief that hard work and steady saving will ensure a comfortable retirement and a better life for one's children. But in a nation experiencing unprecedented prosperity, even for many families who seem to be doing everything right, this ideal is still out of reach. The Financial Diaries draws on information from the U.S. Financial Diaries, which follow the lives of 235 low- and middle-income families as they navigate through a year. 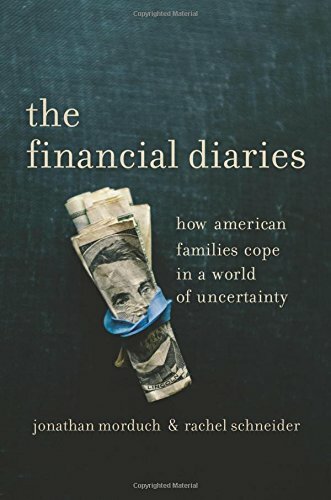 Through the Diaries, the authors challenge popular assumptions about how Americans earn, spend, borrow, and save—and they identify causes of distress and inequality for many working Americans. We meet real people, ranging from a casino dealer to a street vendor to a tax preparer, who open up their lives and illustrate a world of financial uncertainty in which even limited financial success requires imaginative—and often costly—coping strategies. The authors detail what families are doing to help themselves and describe new policies and technologies that will improve stability for those who need it most.